I've always loved Sir Giles as a personality from the 1941 film The Reluctant Dragon. 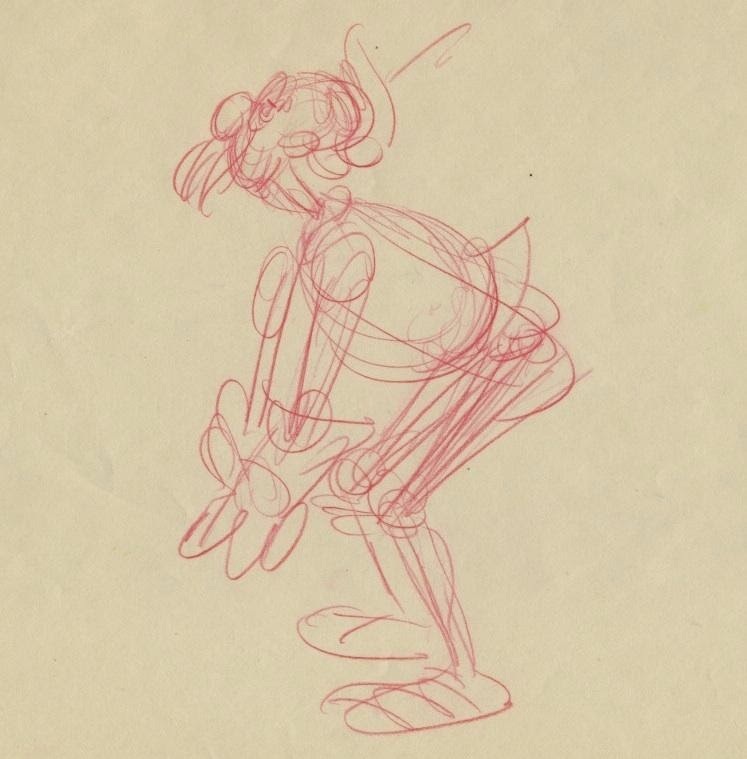 Skinny characters like him or Ichabod Crane have this wonderful gangly, lanky quality in their movements. 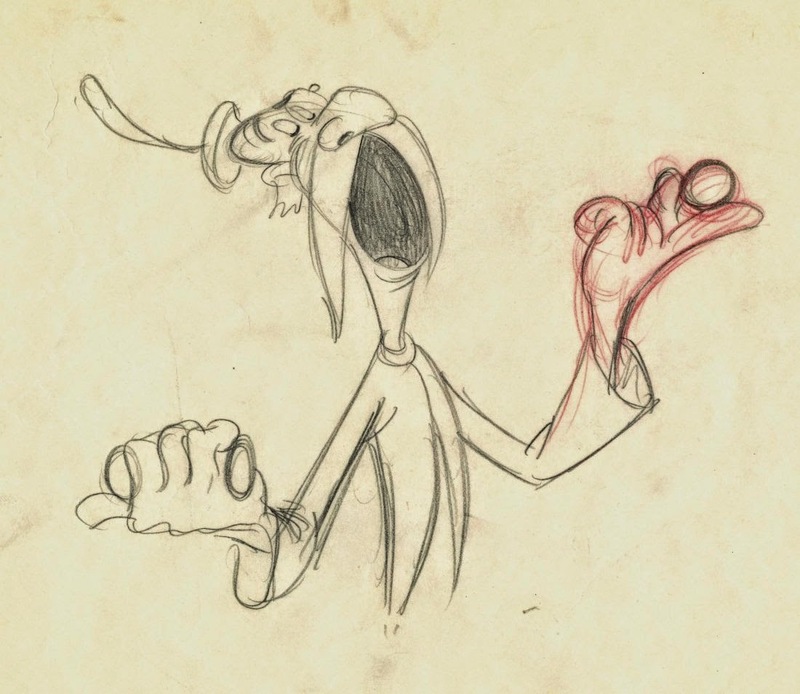 When I look at the strong simplicity of Sir Giles' design, I think he would be a great character for any young animator to experiment with. His head is made up of two main masses, the cranium, and the very flexible mouth/jaw configuration. Squash and Stretch galore! Fred Moore did some of his key scenes. 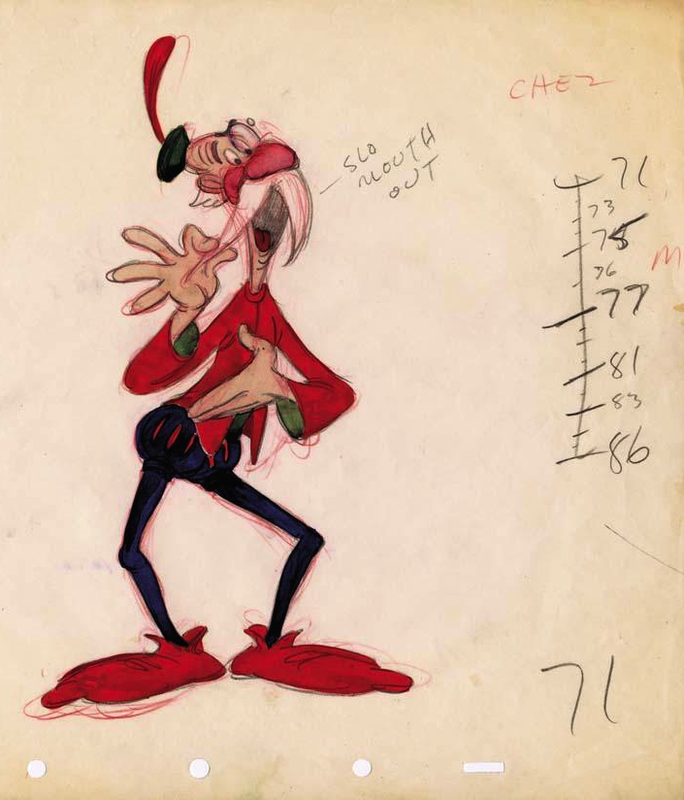 I have no idea why somebody colored this rough key drawing...but it sure looks pretty! 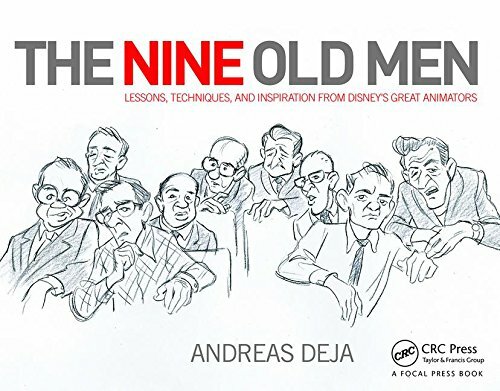 Joe Grant worked on the story for this short, and these drawings kind of resemble him. 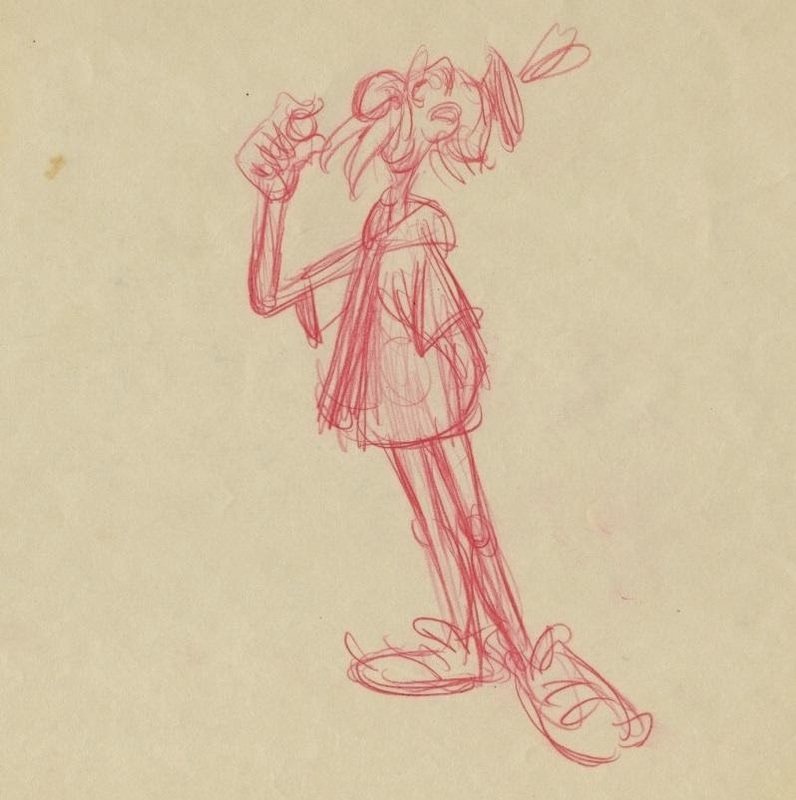 Some of these sketches, if not all of them were offered at Howard Lowery's auctions, and I wished I had bid on them. They are stunning!! Long live Fred Moore!